For over 55 years, LeMessurier has provided structural engineering services to architects, owners, contractors, developers and artists. Led by the example of legendary structural engineer and founder William LeMessurier, LeMessurier provides the expertise for some of the world’s most elegant and sophisticated designs while remaining true to the enduring laws of science and engineering. Known for pushing the envelope of the latest technologies and even inventing new ones, LeMessurier provides solutions responsive to their clients’ visions and reflective of their experience. An early adopter of technology to improve their designs and workflow, LeMessurier put its own talent to work in the eighties to develop a software solution that did not exist commercially at the time. Their early application adopted the concept of Building Information Modeling (BIM) long before it emerged decades later. While LeMessurier’s proprietary tool had evolved over three decades into a powerhouse of capability, the decision to evaluate commercial structural design tools was predicated on the looming effort required to modernize its software to leverage emerging platforms, support normalized data structure integration and keep up with code changes. 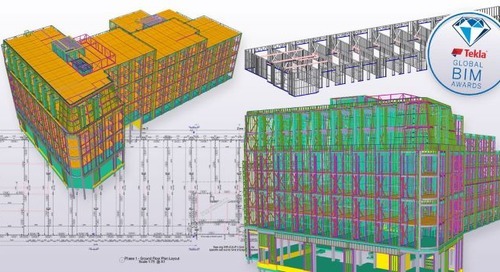 From Schematic Design through Construction Documents, Tekla Structural Designer allows LeMessurier engineers to work from one single model for structural analysis and design, improving efficiency, workflow, and ultimately saving time. “Our engineers are working more efficiently because they don’t need to switch between multiple software packages for concrete and steel design. 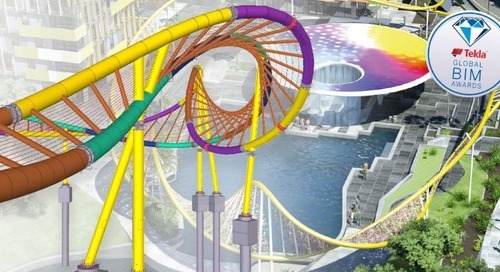 Tekla Structural Designer offers better integration of multiple materials than we have seen in any other product,” said Barnes. 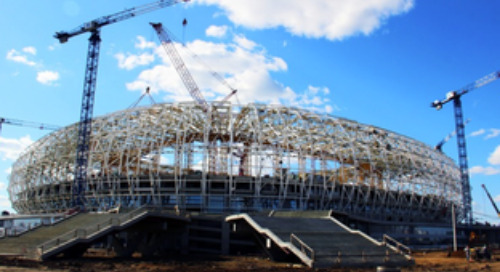 LeMessurier engineers use Tekla Structural Designer to create physical, information-rich models that contain the intelligence they need to automate the design of significant portions of their structures and efficiently manage project changes. 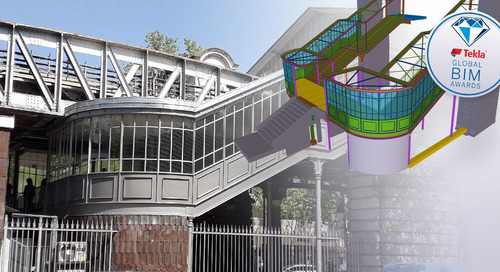 “Tekla Structural Designer has streamlined our design process,” said Craig Blanchet, P.E., Vice President of LeMessurier. “Because some of our engineers are no longer doubling as software developers, it allows us to focus their talents on leveraging the features of the software to our advantage. 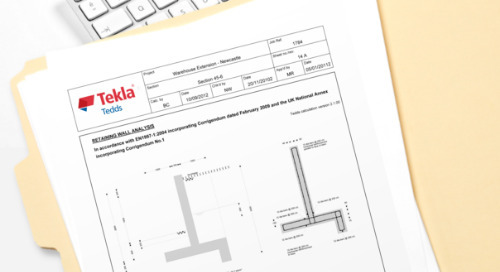 Had we not chosen to adopt Tekla Structural Designer, we would have needed to bring on new staff to update and maintain our in-house software. So Tekla Structural Designer is not just saving us time on projects, it is also saving us overhead. 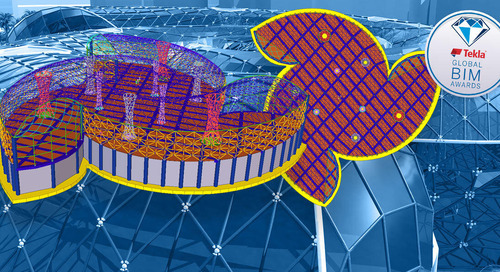 Tekla Structural Designer automatically generates an underlying and highly sophisticated analytical model from the physical model, allowing LeMessurier engineers to focus more on design than on analytical model management. Regardless of a model’s size or complexity, Tekla Structural Designer’s analytical engine accurately computes forces and displacements for use in the design and the assessment of building performance. “Tekla Structural Designer gives us multiple analysis sets to pull from, which gives us lots of control. Most programs don’t have the capability to do FE and grillage chase-down. For the design of beam supported concrete slabs, Tekla Structural Designer allows us to separate the slab stiffness from the beam stiffness, so if we choose to we can design the beams without considering the influence of the slab. In the same model we can use a separate analysis set to review the floor system with the beams and slab engaged,” said Barnes. 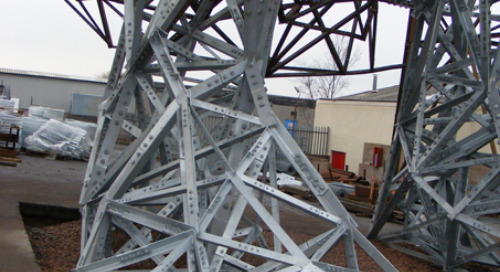 Tekla Structural Designer was developed specifically to maximize collaboration with other project parties, including technicians, fabricators and architects. 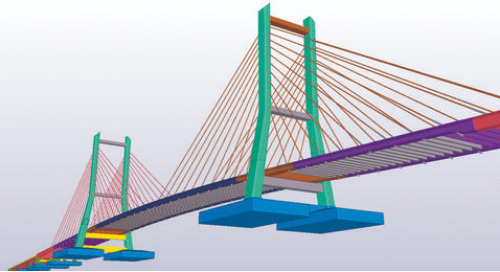 Its unique functionality enables engineers to integrate the physical design model seamlessly with Tekla Structures or Autodesk Revit, and to round-trip without compromising vital design data. Positioning a large scale mixed-use development next to an active arena, a below grade parking garage, and an interstate highway, and bridging it over two active subway tunnels makes planning, phasing and engineering paramount. Currently under construction, The Hub on Causeway Project will be the final piece in the puzzle that is the site of the original Boston Garden. 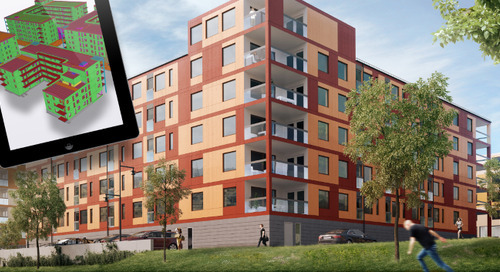 “Tekla Structural Designer helped this project run more efficiently, and in the end it was a positive experience,” said Blanchet.